Over four critically acclaimed albums and countless explosive gigs, Teeth and Tongue are hanging up their skates to move onto bigger and better things – and here’s your chance to see them rip the roof off the Gaso for one last time. 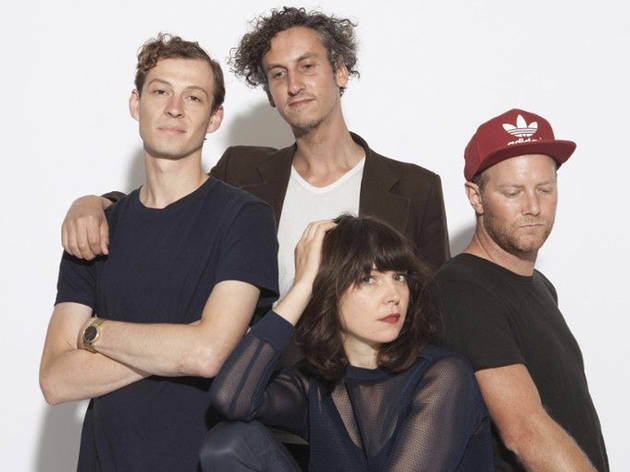 Initially the music project of songwriter and instrumentalist Jess Cornelius, Teeth and Tongue have gradually grown into a collaborative project between Cornelius and long-time collaborators Marc Regueiro-McKelvie, Damian Sullivan and James Harvey. 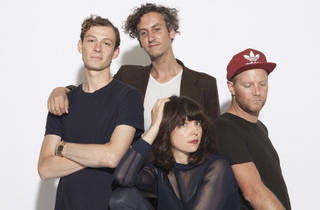 Their 2016 album Give Up on Your Health was nominated for both the Australian Music Prize and a J Award as well as being named 3RRR’s album of the week and Double J’s feature album. After nearly ten years performing under the Teeth and Tongue moniker, Cornelius is headed to the US to focus on a new solo project under her own name. To say au revoir, the band will be hosting a farewell ‘Greatest Hurts’ party at the Gasometer where they’ll be playing tracks from all four albums, Monobasic, Tambourine, Grids and Give Up on Your Health. Joining Teeth and Tongue will be Loose Tooth, Gregor and Venetian Blinds DJs.